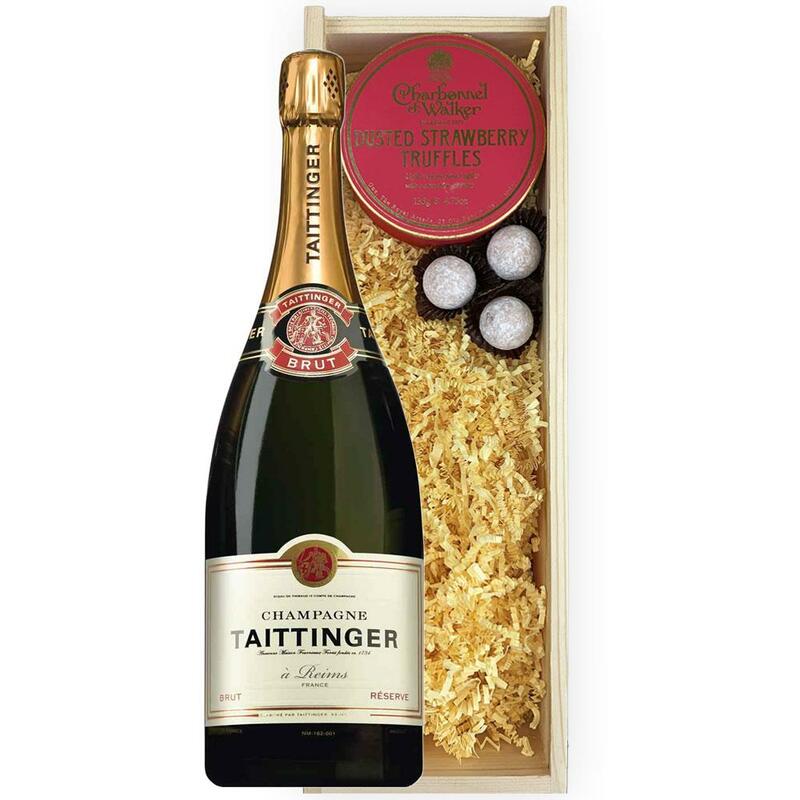 Buy this big bottle of Magnum of Taittinger Brut Champagne 150cl, Strawberry Charbonnel Truffles (125g), Presented in a wooden gift box with sliding lid and lined with wood wool with a Gift Card for your personal message. Buy a Magnum of Taittinger Brut Reserve NV Champagne (1.5 litres) Taittinger have the reputation of one of the grandest Grande Marques. 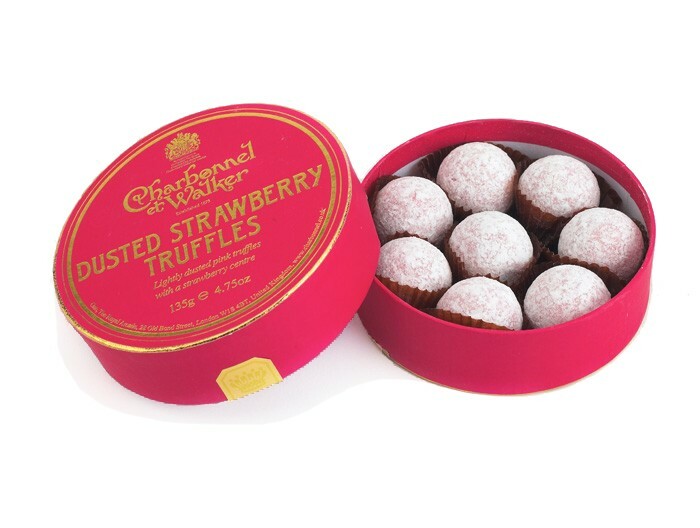 The taste is elegant with a unique flowery perfume all of its own.